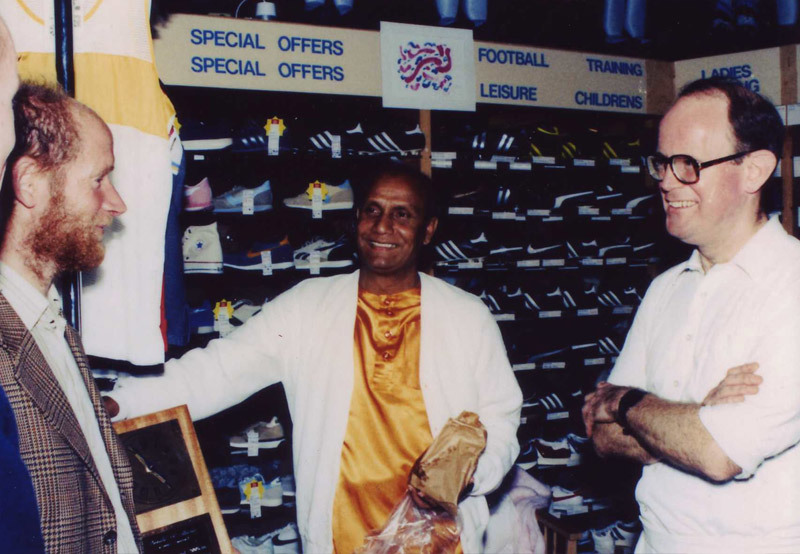 It was back in 1982 when athlete and spiritual teacher Sri Chinmoy inspired Tony Smith to open one of London's first running stores. Thanks to Tony’s faith in Sri Chinmoy’s vision and his tireless perseverance, three decades later Run and Become is still going strong. Sri Chinmoy (1931-2007) was a highly regarded spiritual teacher who advocated a combination of spiritual discipline and physical fitness. 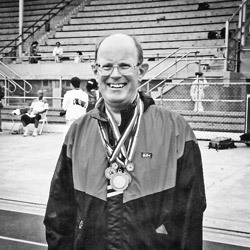 He encouraged his students to run, as it is a great way to clear the mind, get fit, and constantly challenge oneself to transcend past achievements. His love of running began in his youth. At the Sri Aurobindo Ashram in South India he would train at the track for a long time each day, in addition to the many hours he spent in meditation and other activities. He was the 100-metre sprint champion for ten years, and decathlon champion in 1958 and 1959. Sri Chinmoy participated in sports in the spirit of Self-Transcendence – competing ‘with’ fellow athletes and not ‘against’ them in order to reach personal goals, and then to surpass those goals. After coming to the West in 1964, Sri Chinmoy became a spiritual teacher to a small but dedicated group of students. His following grew to many hundreds through the early seventies, and the Sri Chinmoy Centre began to expand internationally. 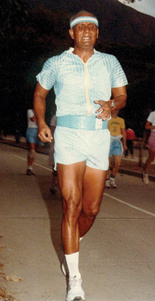 In the 1970s and 1980s Sri Chinmoy was a very active runner. 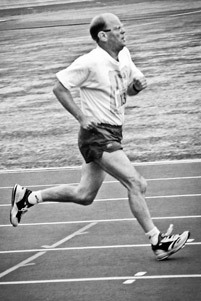 Taking up long-distance running in his forties, he completed many marathons, ultra-marathons and shorter races. Since then, many athletes from a wide range of sports have been inspired by his philosophy of Self-Transcendence and his extraordinary application of it in his own life. Sri Chinmoy’s integral approach to living encourages physical fitness and sports as a vehicle for personal transformation and inner peace. Inspired by his example, many of his students have learned to extend their own personal limits – setting new world records in various fields, running multi-day races, swimming the English Channel and climbing some of the world’s highest mountains. In some 60 countries around the world, meditation students follow Sri Chinmoy's inspiration to lead a balanced lifestyle that incorporates the inner disciplines of prayer and meditation with the dynamism of contemporary life. 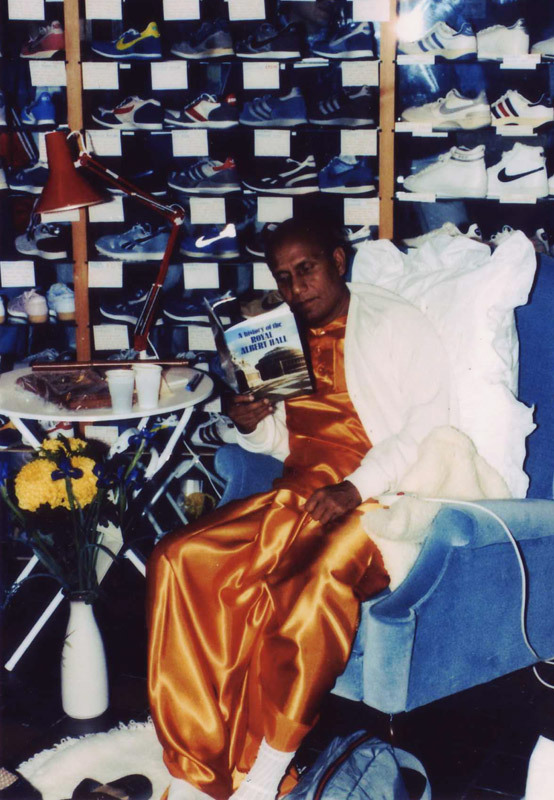 During his own life, Sri Chinmoy regularly traveled throughout the world to offer free concerts, lectures and public meditations, to meet with his students, and to meet and discuss spirituality with world and community leaders. He did not charge a fee for his spiritual guidance, concerts, lectures and public meditations. In a similar spirit, Sri Chinmoy Centres around the world offer regular meditation courses and concerts free of charge. Sri Chinmoy passed away on October 11, 2007 at his home in New York, aged 76 years. 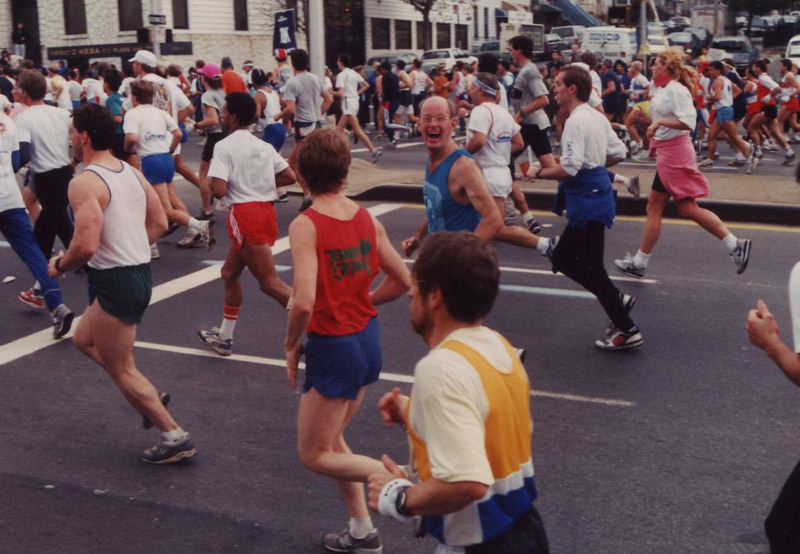 The Sri Chinmoy Marathon Team (also known as the Sri Chinmoy AC) was founded in 1977, and each year organises over 500 races worldwide, as a service to the running community. These include the popular series of races in London’s Battersea Park and Edinburgh Meadows, as well as the 6-Day, 10-Day and 3,100 mile races that take place in New York during the summer months. 24-hour races are also organised annually in North America, Europe, New Zealand and Australia. 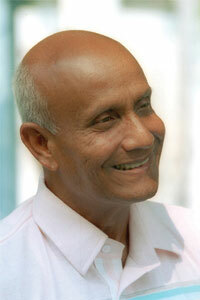 Ongkar Tony Smith, the founder of Run and Become, passed away in February 2006. He will be remembered as a decent, kind-hearted man, with a big smile and a deafening laugh. The joy that emanated from him came from his huge heart. Despite being hardly able to walk the next day, Tony was hooked, and more marathons followed. 1981 saw the first London Marathon. Tony realised there were other people around who felt the same way about running as he did “Before I knew it, for once in my life, I was helping lead a boom, in road running.” But something was missing, there didn’t seem to be any shops that catered for this boom, and so the idea of his own sports shop was sown. 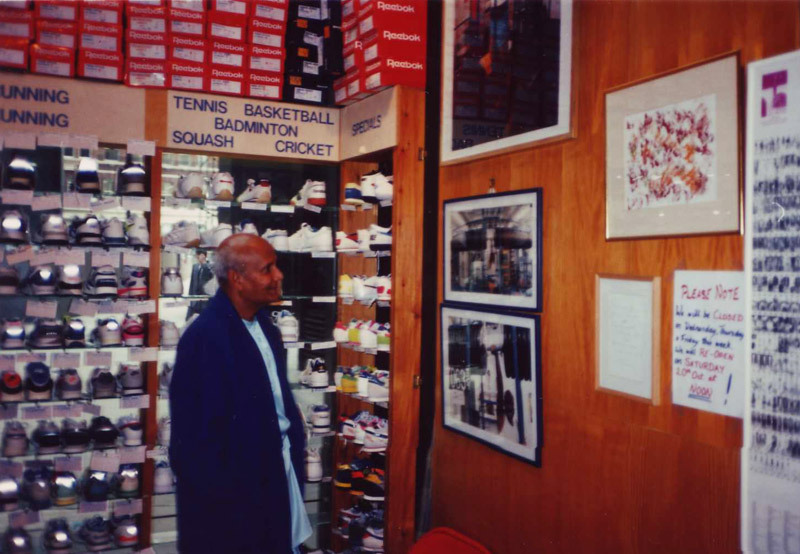 Sri Chinmoy visited the London shop two weeks before it opened. At that point it was to be called ‘Sports A Foot’. But during the course of the evening, he carefully unwrapped a parcel to reveal one of his paintings and the words ‘Run and Become, Become and Run’. It was the first line of a song Tony and Cherry had sung many times, composed by Sri Chinmoy and known as his running anthem. To be offered the name ‘Run and Become, Become and Run’ for their shop was a great honour. Over the years, as Run and Become became better established, Tony used its strength to support various running events. Tony’s massive character at the head of Runners are Smilers, and now Self-Transcendence, made the races some of the simplest and best in the country. Although Tony has been taken from us many years earlier than we expected, we cannot feel any regret. How many people can leave this earth having had a truly full and satisfying life? Today the enterprise still remains a family business, now run by his two daughters Shankara and Dipika. His wife Cherry still works part time in the London branch, regularly proving she’s the best at gait analysis – even accomplished podiatrists send patients to her for assessment when they’re not sure what will work. Tony always had a loving and dedicated family, wonderful friends who loved him dearly, a business that not only succeeded financially but which holds a fond place in many hearts. He also had Sri Chinmoy, in whom he found the fulfilment of all his inner needs; an inspiration that guided him through life and gave him true satisfaction. Sri Chinmoy always commented on how Tony had the biggest heart; when he gave him the name Ongkar, he said, “I am giving you the Bengali spelling of your name because the Bengalis have big hearts too.” This big heart encompassed everyone and came with a generosity that many will remember. Sri Chinmoy meets famed Ultra Runner and UK record holder Don Ritchie, with Tony Smith at Run and Become. 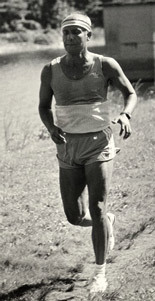 Tony Smith and his characteristic big grin, during New York Marathon in the 1980s. 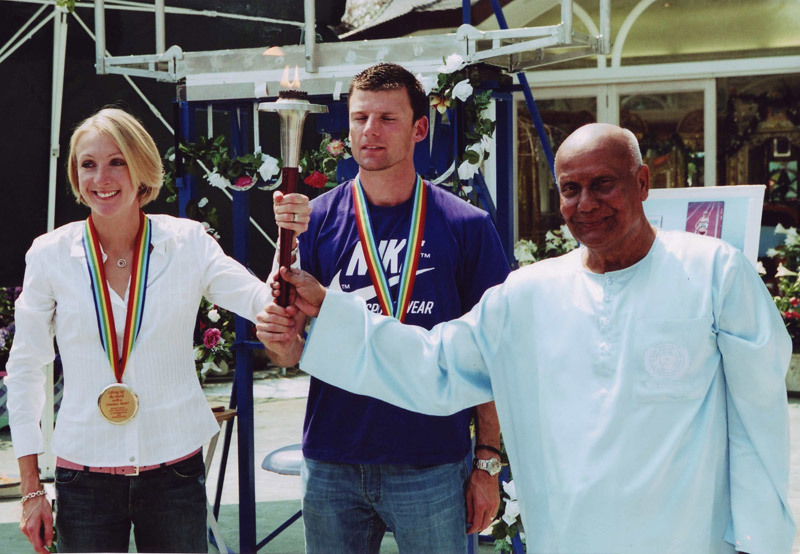 Sri Chinmoy honours Paula Radcliffe and her husband in New York as part of the Lifting up the World with a Oneness Heart programme. Sri Chinmoy has just lifted them up in a one armed lift. 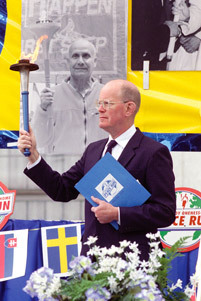 They hold the World Harmony Run relay torch. Sri Chinmoy prepares for another Peace Concert at the Royal Albert Hall, 1987.